Phase I ESARequest a Quote! Phase II ESARequest a Quote! Hyde Environmental is a top Midwest environmental consulting firm. With headquarters in Germantown, Wisconsin, our environmental consultants serve Wisconsin, Illinois, Indiana, Iowa, Minnesota, Missouri, North Dakota and South Dakota. Our environmental consultants help you meet real estate due diligence by conducting phase 1 environmental site assessments, phase 2 environmental site assessments, groundwater hydraulics tests, vapor intrusion assessments and site investigations to uncover property liabilities. Once we've identified the cause, we work efficiently to clean up the property through environmental remediation. Questions? Contact us for more information - our environmental experts will answer any questions you have. A Phase I Environmental Site Assessment (Phase I ESA) involves a review of historical data and records, inspection of the site and interviews with persons knowledgeable about the use and historic use of a property, in order to determine the potential environmental liability related to the property. Hyde’s certified environmental professionals conduct Phase I ESAs in accordance with ASTM E1527-13. A Phase I ESA is often recommended, and may be required, by lenders for real estate transactions, financing or re-financing, or entering into a lease agreement. In the event that any recognized environmental conditions (REC) are observed during the Phase I ESA, or if known sources of hazardous materials exist on a property, a Phase II Environmental Site Assessment (Phase II ESA) will leverage more extensive sampling and laboratory analysis to verify the presence or absence of hazardous materials releases to the environment. Potential contaminants in soil, groundwater and/or vapor are measured, and potential impacts are identified, in order to assess the environmental liability associated with a property. Whether involved in a state or federally mandated program or a voluntary cleanup program, a site investigation is generally required to assess risk to human health and the environment and develop appropriate remedial strategies. Site investigations generally consist of defining the degree and extent of contaminants in soil, groundwater, and/or vapor. Hyde provides comprehensive site investigations with emphasis on the assessment of risk with a vigilant eye on closure. By choosing an environmental consulting firm conscientious of your goals, you avoid needless investigation and remediation expense. In the event that site investigation activities indicate that contaminants present a risk to human health and/or the environment, regulatory agencies generally require remedial action. Remediation cases are usually subject to a variety of state or federal regulations, and Hyde has the experience and professional expertise to develop and implement plans for removing hazardous contaminants from a property and to successfully navigate the regulatory process to final closure. We choose permanent corrective actions based on minimizing your costs of downtime and remediation. At Hyde Environmental, we are dedicated to giving our clients cost-effective, long-term solutions. 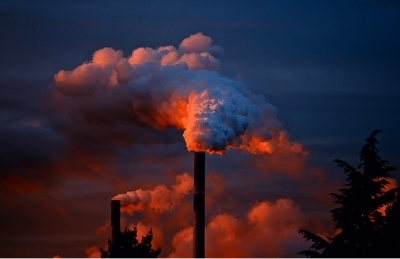 Our environmental consulting services effectively discover and resolve contamination issues. Whether you need a Phase 1 environmental site assessment to satisfy due diligence during a property transaction or require a Phase II ESA to further investigate and remediate environmental concerns, Hyde Environmental performs thorough evaluations and brings your project to closure. Other environmental consulting firms trap you in ongoing cycles of assessment to prolong your project and run up your bill. These companies aren’t helping you or the environment. 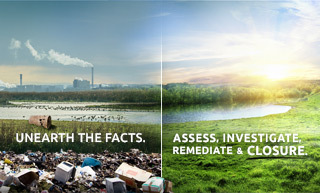 Hyde Environmental is focused on bringing you closure and cleaning up the world we live in. Our comprehensive environmental consulting services are designed to streamline your project. Contact our environmental consultants today. © Copyright 2019 Hyde Environmental, Inc.